IKEA in the Burbak Town Center has a nice family room with a cozy nursing mothers room included. The nursing room includes a sofa, changing table and private bathroom. 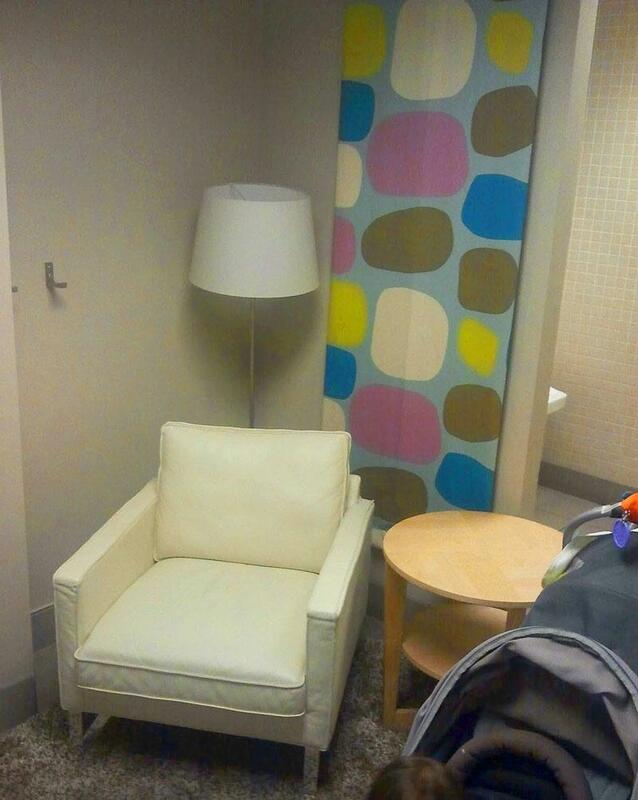 "It is a very nice family restroom - there are sinks at two levels (so little ones can wash their own hands,) a nice changing table stocked with disposable liners and a nice, convenient trash can, and there is a nice little chair with a rug where you can sit and nurse. It faces the door, though, so I would recommend locking it, and hopefully no other little families with kids who can't hold it anymore will show up." Moms who don't mind nursing in the open wil find that there are plenty of nooks with comfy spots to sit, but it's especially best in the children’s furnishing area. Ikea also offers a private nursing room (usually near but not part of) the restrooms.